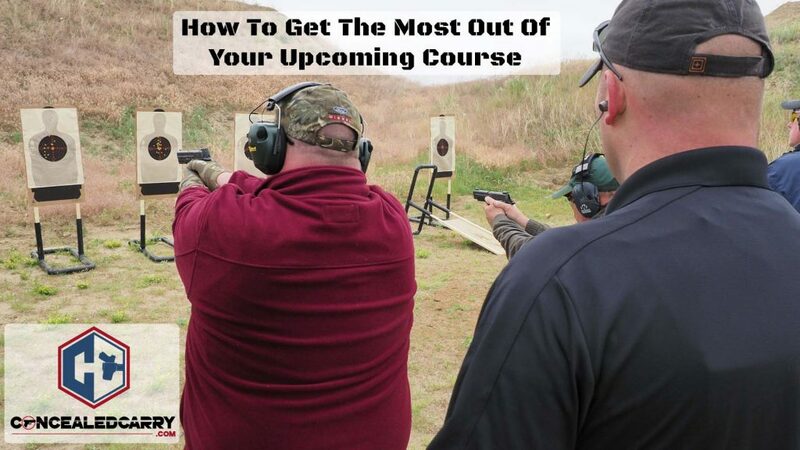 I hope that no matter how busy your schedule or tight your budget, that you still endeavor to take 1 or 2 live in-person courses per year to sharpen your skills and increase your odds of surviving life-threatening encounters. 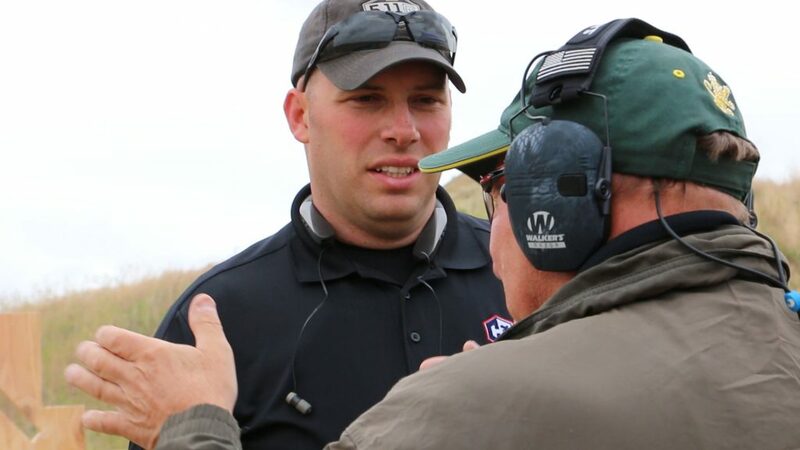 No matter if you are taking a firearm class, first aid, or some sort of empty hands combative course; you will almost always get out of the course what you put into it. Today I have some ideas to share that will increase the ROI you get out of your class by helping you better prepare BEFORE your class and debrief yourself AFTER your class. By doing these things well I promise you will get a lot more value out of your investment in time and money. A very frustrating part of any course is not having the right gear. As a student it makes the whole course seem a little miserable and even if you can rent something from the instructor, you won't get the benefit of working with your own gear. When we teach a course we'll get all our students out on the range and do a gear check. There is almost ALWAYS someone who didn't bring something we listed as required or suggested. Where possible we lend students our own extra gear but it isn't ideal. 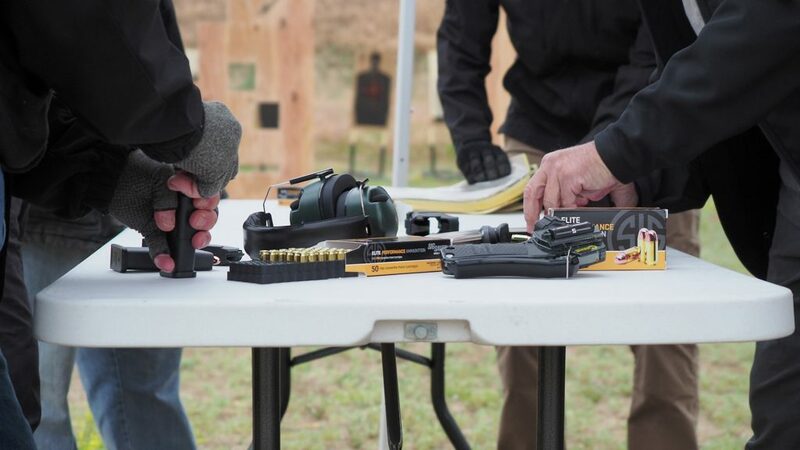 If you use the mag pouch that I lend you then when you get your own it will feel different and the muscle memory you began to build in the class may not transfer as well as it would have if you had brought your own. Review the class description closely. Generally, you will be sent a list of required and suggested equipment. Look at this well in advance of your course to leave enough time to order products you may need. If you wait until the day before the class to review the list it might be too late to find what you need or it might cost you a lot more to buy it from the only store open that night that carries the product. Plan for any potential weather or other contingencies that might require unique gear. When in doubt about what you should bring ASK. Your instructor or the training organization would also much rather you have the correct information so you arrive at the class with the correct gear. Something that is often overlooked is the value that you can gain by watching course YouTube videos, reading course reviews, and reviewing the instructor's bio. The better you manage your expectations the better you will be mentally and physically prepared to get the most out of the instruction. Sharpen your skills and knowledge. Often I'll have a student come to a course that has previously attended another course with me. When they arrive their skills have often deteriorated since the last time I saw them. This is a function of not having practiced the skills previously learned AND/OR not having warmed up and practiced those skills in the recent history before the course. If you don't want to waste the beginning of the course refreshing yourself on all the things you should already know then dust yourself off and do some practice in the days leading up. 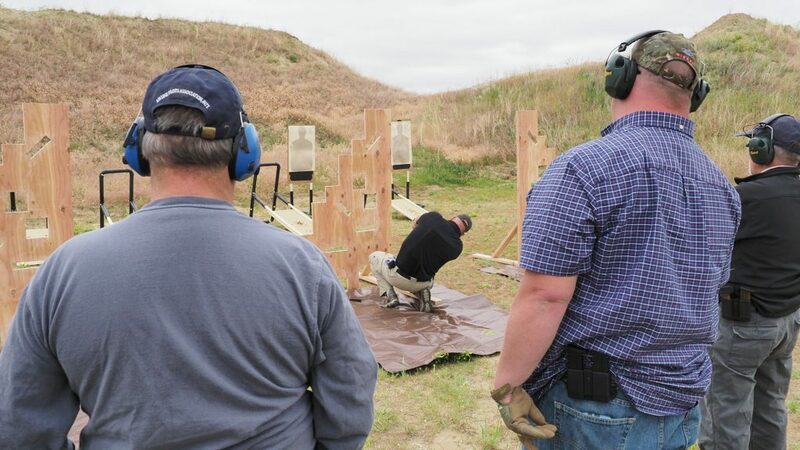 In the case of a firearm course, you can engage in some dry fire practice. Work on the things you do know so that you are sharp and ready to learn new things. Different instructors and training organizations have different approaches, techniques, and philosophies in their training and instruction. Prepare yourself to dive in deep to whatever is presented. After the course is over you have permission to ignore, forget, or dismiss anything you didn't like but ultimately if you go in with a closed mind your ROI will be much lower. Be open to learning new things and adopting new ideas. When the class is over you can merge everything you have learned into your own personal philosophy keeping what you like and discarding what you didn't like … but in the class is the wrong time to do that analysis. When I take a new class I'm all ears to everything the instructor says not just to me individually, but also to other students. When it isn't your turn to participate in any particular exercise instead of checking your text messages or otherwise wasting time, watch and listen like a hawk. You can often increase your education by 10-20% just by observing what others do and listening to the feedback given the other students by the instructor. During your class there may be exercises, drills, or other opportunities to perform or practice certain tasks and skills. When possible take time to mentally rehearse these before you perform the task. Watch the demonstration by the instructor and imagine in your mind what it will look like when you do the same. If it is an activity in which students will have to take turns I always try to put myself at the back of the line, especially for things that I know are more likely to push me beyond my comfort zone. I take that time in line to watch the other students, try to learn from any of their mistakes, and mentally imagine myself running through the exercise. This will increase my level of performance which will speed up the rate at which my new skills become real muscle memory skills. Carry a small flip notebook and pen in the class. In moments of downtime get it out and write down anything that might be helpful to review later. This could be a key phrase the instructor said that really felt impactful or that you want to remember. You may want to write down something you did wrong or that you know you want to improve. You can write down a description of an exercise that you ran through in the class that you may want to repeat on your own at a later date after the class. In many classes there may be set aside time for the instructor to give each student some one on one feedback at the end of the course. If this doesn't take place, take the time to either stay after or contact the instructor in the hours or days following the class to ask for personal feedback about how you can individually improve. These personalized insights will come from a professional that has just spent hours watching you and probably has a better idea of what you should work on next than you do. At the end of your course review your notes and take time to think about what you have learned. Write down additional insights that might come to you. Write down and consider the feedback you received from the instructor. If you are taking a multi-day class be sure to do this at the end of each day. Courses are not designed to perfect a new skill. They are designed to teach you a new skill. Mastering or perfecting that skill will require repetition and a lot of practice, not only over upcoming weeks and months, but potentially years. After you complete your debrief plan out your practice routine. This involves mapping out a specific plan to practicing those new skills. This plan should include a schedule and may need to take into consideration your time, gear/tools required and anything else necessary to ensure that you work to implement the plan. While everything is still fresh in your mind pick out and schedule the next class you want to take. We encourage our students to take 1-2 classes every year, so look for something 6 or so months out and book it now. This will ensure you don't procrastinate! If you are going to take the time and money to get some training you should follow the best practices that ensure the highest return on your investment possible. In addition to my thoughts above, use the comment section below to share other ideas, tips, or suggestions about getting the most out of your next course! These are all great points! I agree that it is helpful to try out different schools or training programs and important to approach them with an open mind. One thing I’ve noticed is that many of the great instructors interviewed on the podcast make an effort to take classes from different schools. This cross fertilization has to be a factor in their development of a finely honed technique. We students with more rudimentary skills could do well to emulate that. 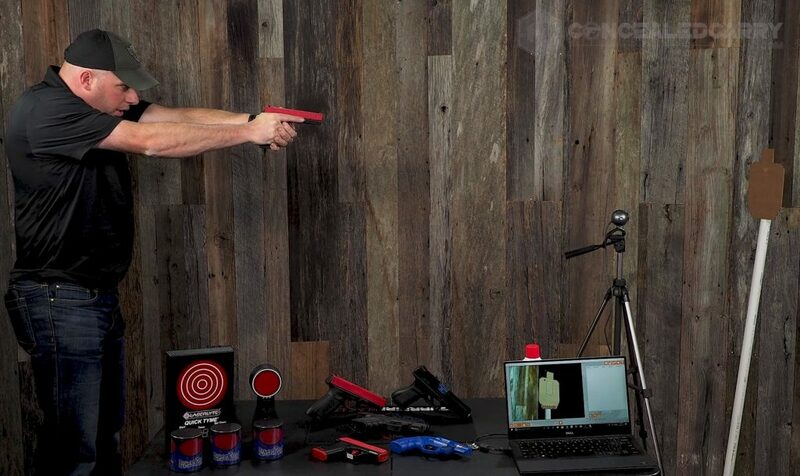 I would like to take your on line class for concealed weapon and get a certificate to carry with me, where and how can I get into the online class and what is the cost?